Today in Masonic History Henry Dodge passes away in 1867. Henry Dodge was an American soldier and politician. 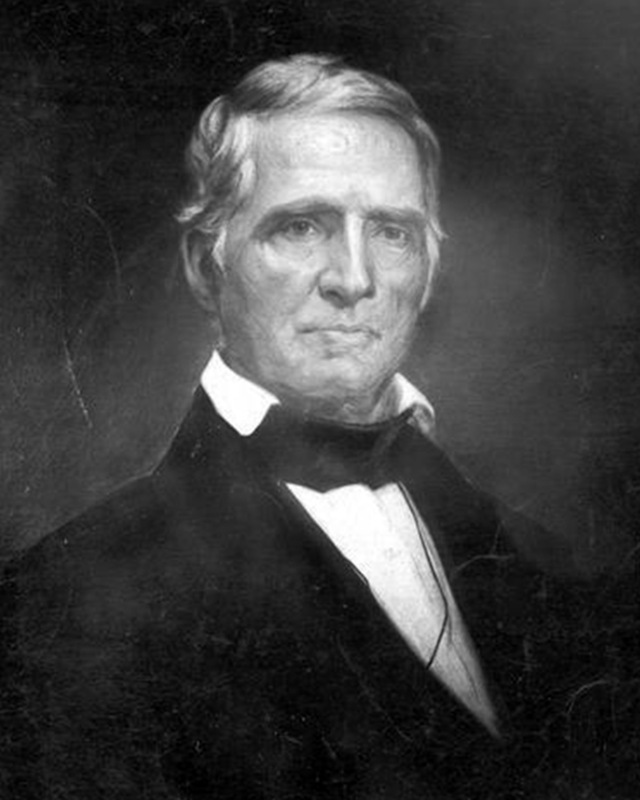 Dodge was born on October 12th, 1782 in what is now Vincennes, Indiana where his father was stationed. He was the first child born from parents who lived in the original thirteen colonies in what is now Indiana. Dodge was raised in Kentucky largely by his mother. His father abandoned the family in 1788. At the age of 14, Dodge moved to Missouri where his father was living. Although he would return to Kentucky on occasion, Missouri became his home. While living in Missouri Dodge would become deputy Sheriff in 1805. In 1806, Dodge was recruited by former Vice President Aaron Burr to explore the southwest. This would become known as the Burr Conspiracy. Burr, it is believed, had intentions of establishing a new nation in the Southwest. When President Thomas Jefferson discovered Burr's intentions he was arrested. Dodge had gone as far as to travel to the concentration point in New Madrid before he discovered that Jefferson had declared it treason. He immediately abandoned the effort. He was still indicted, although charges were dropped. During the War of 1812, Dodge enlisted in the Missouri State Volunteers. After the war, in 1827, Dodge emigrated with his family to what is now Wisconsin. There he served as a commander in the militia during the Red Bird uprising, also known as the Winnebago War. The Winnebago war was a brief conflict between the United States and a native American tribe called the Winnebago or Ho-Chunk tribe. The Ho-Chunk were unhappy with he the lead miners who had come into their territory. They were also acting under the false information that two of their people were turned over to a rival tribe for execution. In 1832, Dodge participated in the Black Hawk War. A conflict between the United States and several native American tribes. The native Americans were led by Black Hawk who crossed into Illinois from what is now Iowa with the intent of settling on land that the United States had taken in the Treaty of St. Louis in 1806. The United States fired the first shots in the conflict. In 1836, Dodge was the first Territorial Governor of Wisconsin Territory which included the areas which are now Wisconsin, Iowa and Minnesota. He served until 1841. He was then elected as a non-voting representative from the Wisconsin Territory to the United States House of Representatives. In 1845, became the Territorial Governor of the Wisconsin territory a second time serving until 1848. When Wisconsin was admitted to the Union he became one of the two Senators from the state. He served two terms. Dodge passed away on June 19th, 1867 in Burlington, Iowa. Dodge was a member of Louisiana Lodge No. 109 in Missouri.